The UKIL Drive System uses Yaskawa A1000 high performance AC vector (servo rated) drives with SEW gearmotors. Drive regulation is under the direction of the control program, which utilizes both encoder feedback and tension sensors to provide a mathematically derived torque or speed setpoint for each drive in the system. 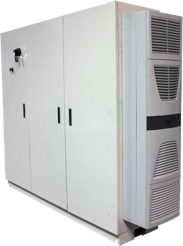 The drives have an inter-connected DC buss system so that drives that are regenerating produce power for the drives that are motoring, reducing overall power consumption for the most efficient operation. 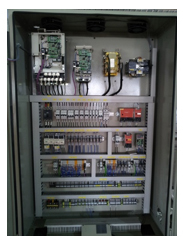 The drive is designed to eliminate the common drive control related problems that occur on sizing machines. 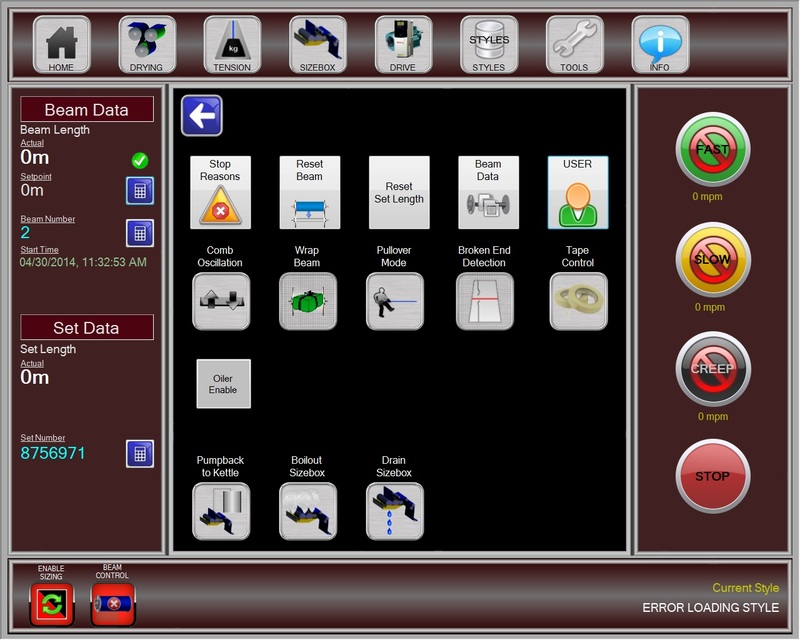 Standard features include a 480mm LCD touchscreen with complete process control and drive integration, calibrated tension control, elimination of operator adjustments at beam start-up, style programmable creep, slow, and fast speeds, and complete motion control at all times. 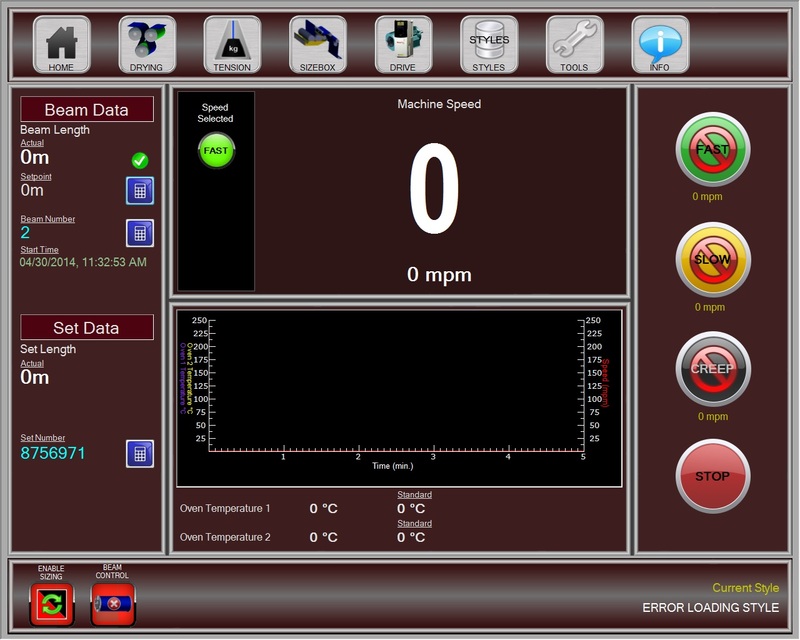 A graphical alarm system allows for quick identification of out of tolerance machine conditions and machine stop causes. Process stop causes are mill programmable on a style by style basis for tolerance level and length of acceptable out of tolerance conditions. The LCD Touchscreen is IP67 washdown rated and is not equipped with fans or hard drive. The system is rated for 50 Deg C ambient operation and comes with a 2Gb Compact Flash card containing all programs including the Windows 7 embedded operating system. Easy to copy for emergency backup, the Compact Flash technology is extremely reliable. Beam winding (or unwinding) employs motion control techniques rather than torque control alone in order to eliminate the typical problems at beam start up. Tension is style programmable throughout the loom beam buildup. Taper tension can be programmed as a function of beam diameter or yardage length. At the start of a new beam the operator simply tapes or wraps the sheet to the beam core face and presses the run push button. 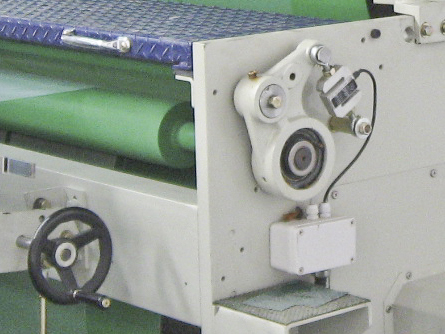 The beam will automatically advance at a rate proportional to the delivery roll in order to wind the taped or wrapped seam under two layers of yarn without pulling the yarn loose, and will then begin to wind under tension. It is much easier and safer for the operator because they do not have to hold the sheet in position as the beam rotates, or “baby” the tension control potentiometer. There is not a tension control potentiometer to adjust as all tension reference is a function of the style data. 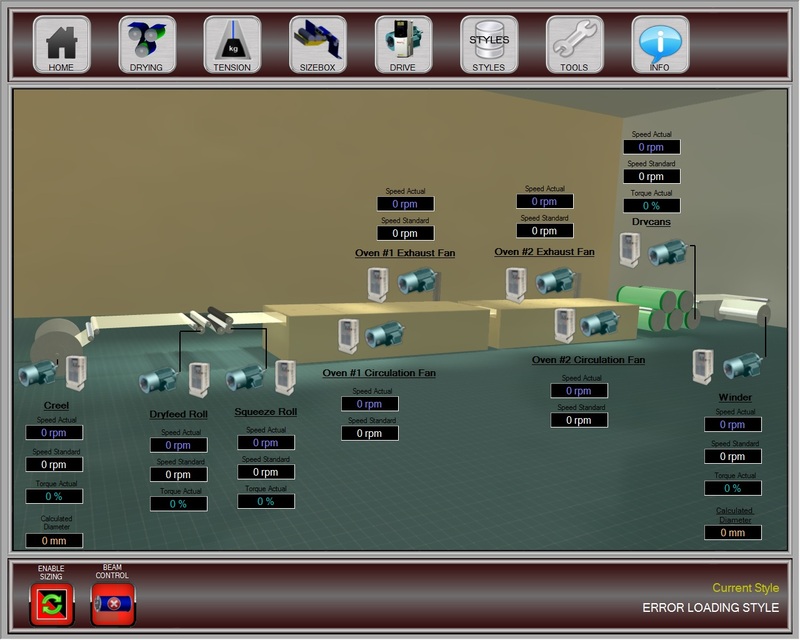 At new beam startup, torque is calculated based upon the style data end count and tension setpoint. Initially, the beam control enters a phase of precise diameter calculation while maintaining programmed tension with tension feedback controlling torque. When the control logic is satisfied with the diameter measurement accuracy, beam tension control switches to pure motion control, eliminating unsatisfactory inertia calculations and friction compensation during acceleration and deceleration. Tension control regulation is +/- 1 grams per end. Rugged, precision load cells are employed throughout the machine to measure actual yarn tension. Quadrature motor encoders are used to measure speed and beam diameters. 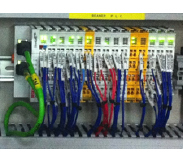 A Profibus card residing in the Ethercat network is provided for communication with the AC vector drives.